Before technology became so ingrained in our culture, before cell phones (do you remember what it was like to miss a call? ), and before social media, there was a time when many young people aspired to careers in metal fabrication, welding, and other metal works. In fact, these manufacturing jobs were coveted almost as much as tulip bulbs covet the spring rains. Manufacturing jobs such as metal fabrication offered good pay, great benefits, and job security. Fort Miller FAB3 in Schuylerville, NY, is a custom metal fabrication shop that offers precision metal cutting, metal painting services, and CNC bending. We are always looking for top talent to help us create amazing metal fabrication products for our clients. 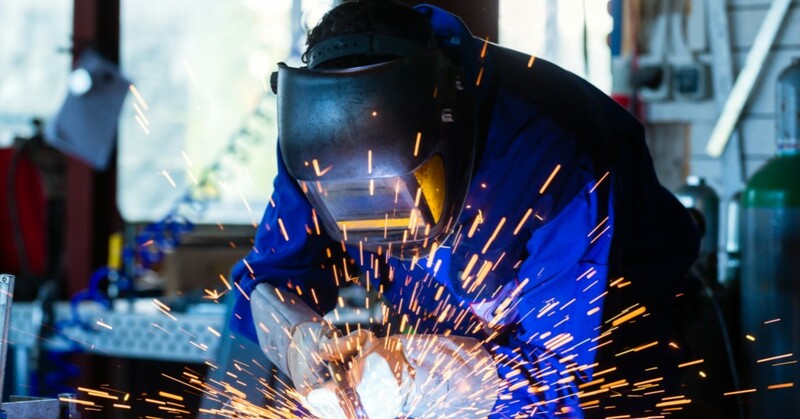 If you’re interested in a career in robotic welding, laser cutting services, or any custom metal works, visit our careers page to apply, and read below on tips to engage our youth to apply for custom metal fabrication jobs today! Great pay. Many kids come out of college expecting to make over $50,000 a year. Once they graduate and they take an entry-level position, they are usually shocked at how little they make when they just spent a lot of money on college. With manufacturing and custom metal work jobs, kids coming out of college can expect to meet their expectations of pay. Job security. With so few kids coming out of college or even associate degree programs looking for a job in manufacturing, the competition is minimal and the odds of you being laid off are very low. This is due to the high demand of the products manufacturing companies make. The United States is always innovating both in the manufacturing sector and the construction and building industries. As technology improves, so does the demand for those who can utilize it in the custom metal fabrication industry. Career growth. The sky is truly the limit when you take a job in custom metal fabrication. Many companies will spend a lot of time and money on training for their employees, as well as fostering leadership opportunities and supplying increased skills. In the steel metal fabrication industry, you are your only limit. Fulfillment. Many kids coming out of college want a career where they feel as if they are making a difference. With custom metal fabrication, every job, product, and metal component that is created is making a difference. It is helping that particular customer stay in business, as well as helping all those who will use the metal component you just manufactured, say on CNC machinery. And that is countless; think of all the people who use the building your manufactured part helps support. Fort Miller FAB3 in Schuylerville, NY, is always looking for top talent for our custom metal fabrication shop. We invest time and energy into hiring the right employees and keeping them. From offering competitive pay, great benefits, and continual training, Fort Miller FAB3 is an employer of choice in New York. Visit our career page today, and apply!